CHATEAU TANUNDA ARE RETURNING TO THE GOOD FOOD & WINE SHOW BRISBANE IN 2019! 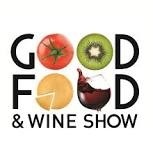 Chateau Tanunda will be showcasing a selection of our award winning wines at the Brisbane Good Food and WIne Show in the Barossa section this year as at the Brisbane Convention centre. Get together a group of friends and join us to taste wines from the Grand Barossa, The Chateau and Terroirs of the Barossa ranges. Wine Club members will also have the chance to taste some of the latest release wines from the Old Vine Expressions range. With loads of new features & classes available, the return of old favourites, and an action packed celebrity chef line-up the show is not to be missed!